The Wende Museum - an innovative arts and education institution for Cold War Eastern European and Soviet history - is proud to present our 2014 program series to celebrate 25 years without the Berlin Wall and TASCHEN’s launch of an encyclopedic publication on the Museum’s East German collection. 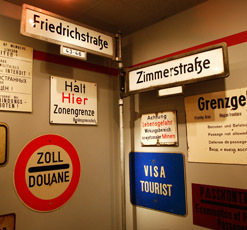 The programs examine topics of relocation, displacement and memory, looking at the ways in which people have moved between East and West and at the dispersal and movement of the Berlin Wall around the world. The six-month long initiative culminates with a celebration to preview The Wende Museum’s newly renovated home on Saturday night, November 8, 2014.